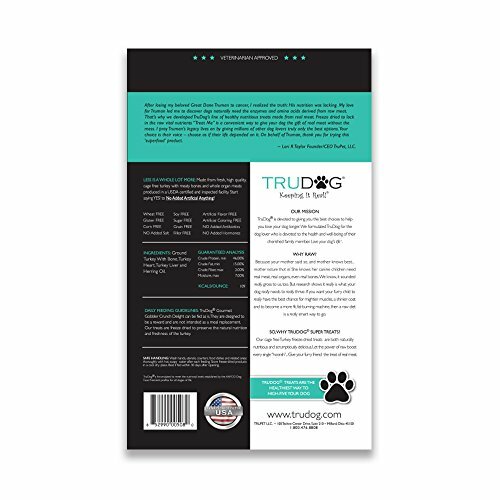 TruDog is a suite of USA made food, treats, toppers and supplements that are truly the best for your dog. 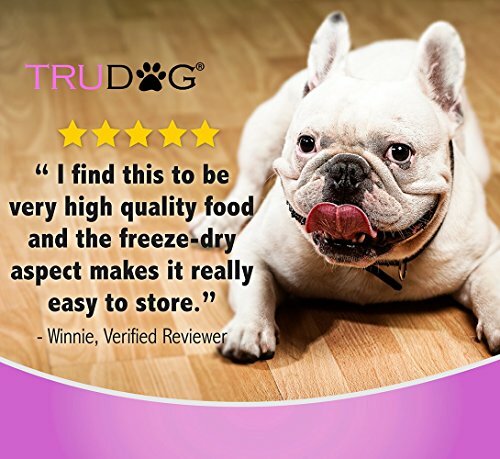 They contain great tasting, all-natural ingredients that keep your dog strong and healthy. Your dog wants real meat for dinner. Not grains, gluten, or fillers - just real, fresh meat - just as nature intended. 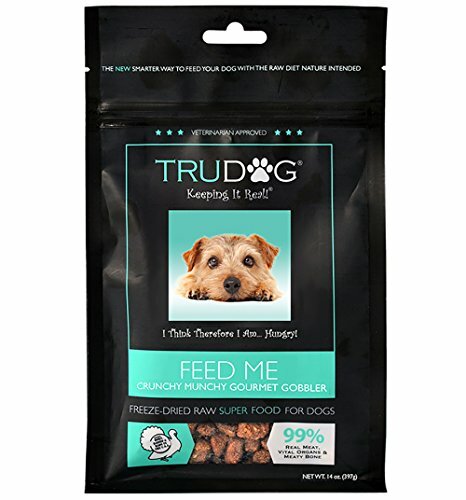 Locally sourced from America's heartland, with a perfect blend of fresh, wholesome Turkey, bone and organ meats; this food can be served as a complete and balanced meal, a nutritious treat, or mixed with kibble. Any way you serve it, you can't go wrong; the benefits are visible within weeks! Love Your Dog's Life! Feed Me, daily super-food, is the ideal solution for those pet parents who want to be sure they're giving their best friend exactly what they need. Feed Me is a complete nutritional powerhouse. By including prime ingredients lacking in most dog foods today, you're providing your dog with one the healthiest, nutrition packed foods available anywhere on the planet. NO ADDED INGREDIENTS: TruDog uses only 100% USA born, raised and harvested, cage free turkey. 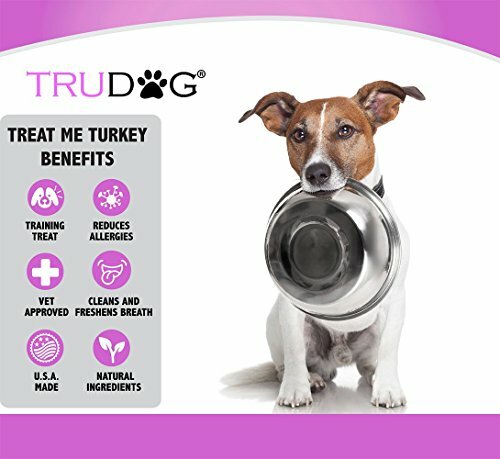 TruDog does NOT mix our turkey with grains, fillers or any chemical additives found in so many other treats. Made in the USA. There is NO wheat, corn, grains, sugar, fillers, chemicals or by-products. No refined carbohydrates, no added salt - just pure digestible high quality protein. Ground turkey with bone, turkey heart, turkey liver, herring oil, mixed tocopherols. If for any reason you are not satisfied, email us and we will make the situation right. We stand behind our products and will do what is necessary to ensure your satisfaction. LESS IS A WHOLE LOT MORE: Raw Dog Food Made From 100% USA born, raised and harvested, cage free turkey.You will never find any grains, fillers, preservatives, or coloring in any of our products. INGREDIENTS: Ground turkey with bone, turkey heart, turkey liver, herring oil, mixed tocopherols. 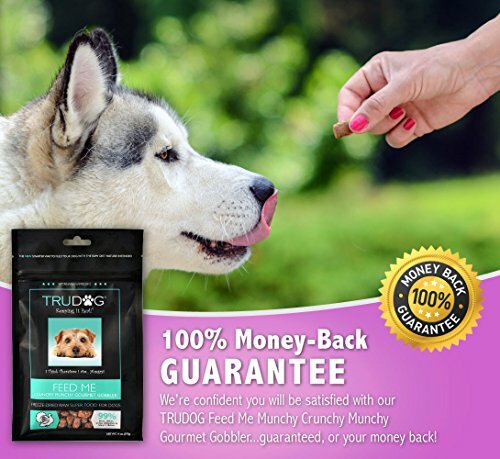 DAILY FEEDING GUIDELINES: To unleash the nutritious goodness of each serving, just add water, With no fillers in the food, you don't have to worry about TruDog losing its crunchy munchy goodness. Approximately 6 cups per bag. Feeding guidelines according to weight. BENEFITS: No more foul smelling doggie breath, easy to digest, orgainc, all-natural, hypoallergenic, appropriate for dogs of all ages and breeds, dog approved and dog preferred taste, no fear of food contamination or harmful effects of filler-laden kibble, happy healthy pets. GUARANTEED: Safety and satisfaction guaranteed, proudly made in the U.S.A. 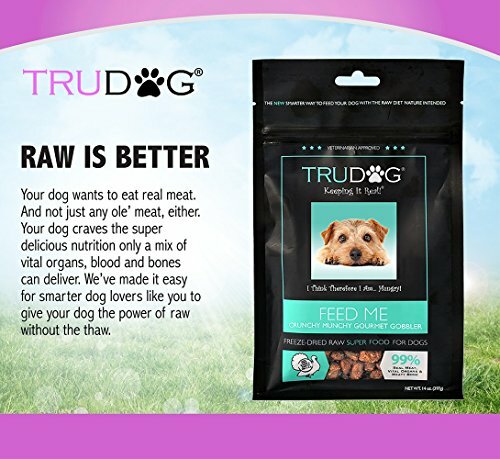 If you have any questions about this product by TruDog, contact us by completing and submitting the form below. If you are looking for a specif part number, please include it with your message.